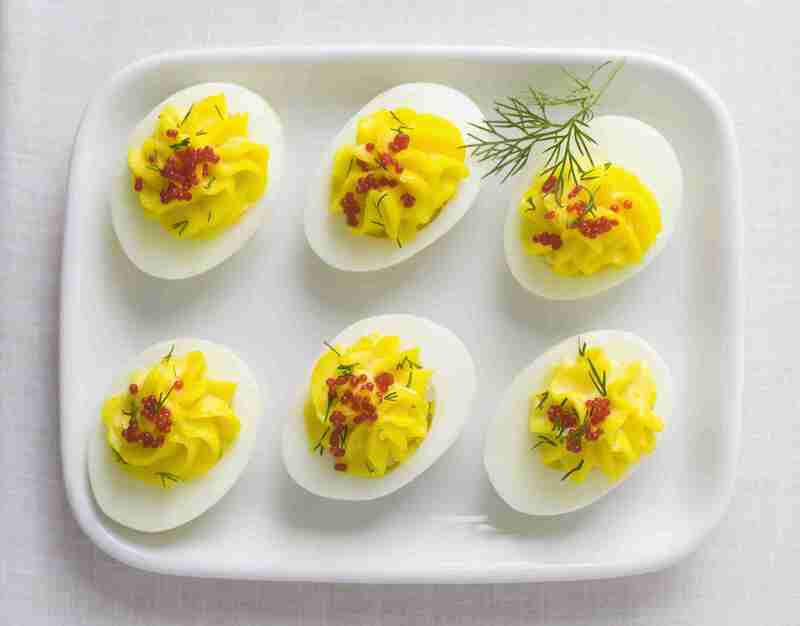 Think about what to do with hard-boiled eggs, and the first thing that comes to mind is deviled eggs. Without question, deviled eggs are a universal favorite when it comes to appetizers. If you have old eggs to get rid of, or leftover Easter eggs, consider breaking out of the box and trying something new. You should know that older eggs are best for hard cooking since they will peel easier. First, learn how to make perfect hard-boiled eggs. Then try some alternative ways to use them up. Far from the bland deviled eggs you find at some parties and family gatherings, these deviled eggs are full of flavor and texture. Do take a few extra minutes to add a little garnish so they look as impressive as they taste. These are great for low-carb diets too. Use flavorful egg salad as a topper for greens, in a sandwich, or modify for deviled eggs. For an inexpensive variation on foie gras, try chicken livers blended with hard-boiled eggs in a tasty pate. Plan ahead for overnight refrigeration to let the flavors blend. Hard-boiled eggs are wrapped in sausage, breaded, and deep-fried to create Scotch eggs. Served warm or at room temperature, these are great for breakfast or quartered as an appetizer. Hindoo eggs are served with a curried white sauce and served over hot rice or toast points. These can be eaten for breakfast or as an entree. If you love pickled beets, you'll love pickled eggs. A popular deli item, it's easy to make these at home. They can be refrigerated for up to two weeks.